Finally, seems like the real Bigg Boss has started. Known for its controversies and fights among the inmates, this season’s contestants seemed bit different as even though a week passed, there wasn’t much of fights between them. However, yesterday the smooth sailing flight took a sudden ugly turn. 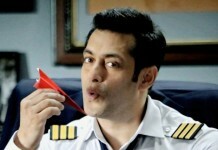 For the first time this season, Bigg Boss directly spoke to the contestants. He revealed the new house for the contestants. However, he also gave them a task in which the winning team will occupy the house. Therefore, Preetam and Deepshika, who now entered the house and are living with the other inmates, were chosen as captains for the task. Deepshika included Karishma, Diandra, Minisha, Sushant, Upen and Arya in her team while Preetam included Sukirti, Sony, Natasa, Puneet, Praneet and Gautam. The task was called ‘Hijack’. Deepshika’s team had to force the team of Preetam to get up from the seats they had occupied. Deepshika’s team had to trouble the team of Preetam to make them leave their seats. Preetam’s team had to suffer a lot with Deepshika’s team wiping dirty-wet mop and brooms, holding dirty slippers and towels on the faces etc. However, the limit was crossed when Deepshika’s team smeared red chilli powder paste on to the faces of Natasa, Puneet, Praneet and Gautam. Natasa cried continuously as she was suffering the torture. But Gautam couldn’t take it as Karisham continued to smear the red chilli paste on his face. He hurled abuses at her, which Karishma took very seriously. Even though Gautam pleaded mercy, she said she didn’t want unless he is disqualified from the task. All the contestants scolded Gautam for behaving indecently with Karishma. Karishma continued to scream louder and louder at Gautam in front of everyone. She said she wants Gautam to be disqualified from the task. Today’s episode will show how things get uglier when Karishma blames Deepshika- her team captain, for not supporting her when Gautam abused her. 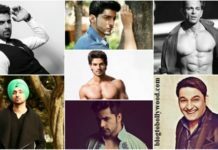 Vote Now | Which Male Debutante is the most promising?